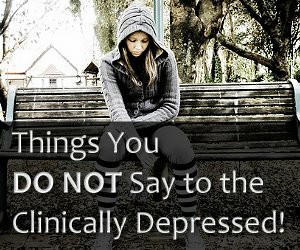 It is easier to say what is not classified as major depressive disorder or clinical depression than to narrow the list of what is. A complex condition (some doctors, controversially, refuse to refer to it as a disease), clinical depression has a litany of causes, symptoms and treatments, all of which seem to be a never-ending evolution, and the subject of medical disagreement. It comes by several monikers, including: major depression; recurrent depressive disorder; unipolar depression (as opposed to bipolar depression (also known as manic depression)); and unipolar disorder. And if you are one of the 17% of the American population that has suffered with it, you know it’s no walk in the park. You can’t just snap out of major depression because somebody paid you a compliment. In order to better understand what major depression is, examining incorrect (and amateur psychologists’) assumptions may give it clarity. What major depressive disorder is not is the blues, grief, or a bad mood, although grief can be a trigger for clinical depression. In fact, there are hundreds of things that can set off a depressive episode, but if it’s not actual clinical depression, the mood of the moment should lift within a few days, or even less; major depressive disorder is defined as lasting at least two weeks, but some episodes comprise years. The first occurrence often strikes between the ages of 20 and 30; there are two other peak periods for most sufferers, namely 40 to 50 and 50 to 60. It can also occur in the elderly, especially those enduring poverty or illness. The end of depression is suicide for 3.4% of sufferers; 60% of all suicides involve a person who is clinically or otherwise depressed. There is no formal or laboratory test that can prove a suspicion of major depression; a diagnosis depends upon observation of characteristics or behaviors, sometimes by the patient, or by a doctor (usually a psychiatrist) or those close to the patient. People with on-going clinical depression have a shorter life expectancy than the normal population; this may be due to suicide or to the associated illnesses that are inherent with this general morbidity. Women are twice as prone to major depression as men, but only 1% of depressed women commit suicide as compared to 7% of men. The majority of people with major depressive disorder also suffer from some degree of anxiety. Although depression does not cause or promote post-traumatic stress disorder (PTSD), they often occur in tandem; the likelihood is that PSTD has nudged the depression into existence. Most western nations have a depression rate of significantly less than the U.S.A.; the usual rate is 8-12% of the population, but the Japanese rate is 3%. Most other information about clinical depression is less fixed and more open to medical and professional opinion, or supported by on-going case studies. One thing is sure, major depression is growing. 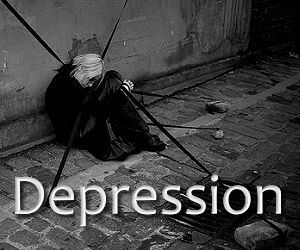 Major depressive disorder is a leading cause of morbidity (a state of disease) world-wide. At this time the odds of Americans enduring a major depressive episode within the period of one year is about 9% for females and 4% for males. These figures are expected to increase. A lot has been done in recent years to bring mental illness, including major depression, out into the open, enabling it to be more talked about and less negative, especially for depressed people. Adding to the list of historic figures such as Sir Winston Churchill, Samuel Johnson, Abraham Lincoln, Tennessee Williams, Wolfgang Amadeus Mozart, Mark Twain, Virginia Woolf, and Edgar Allan Poe, contemporary famous folk have found the courage to declare that they have suffered (and some still do) from depression. The list is surprising and filled with comedians such as Jim Carrey, and successful superstars like Marie Osmond and Harry Potter author. J.K. Rowling, but there is something that jumps out: many, about 95%, of self-admitted major depressives are in the arts, the business of creativity in some form. Doctors concede that there may be a link between creative types and depression. Some have argued that involvement in the arts with low income prospects and huge competition for superstar status may be the cause. But when you look at who is part of this list, you must beg to differ: Woody Allen, Halle Berry, Jon Bon Jovi, Janet Jackson, Britney Spears, James Taylor, Harrison Ford, Sheryl Crow, Princess Diana, Gwyneth Paltrow, Angelina Jolie and Beyoncé Knowles, to name a very few. What is positive about this is that when such highly admired stars step up and say, “I have clinical depression”, it paves the path for the rest of us. And it makes them human, not stigmatized, in our eyes. What Does Major Depressive Disorder Feel Like? Clinical depression is characterized by long periods of feeling low and sometimes emotionally fatigued. It also commonly involves low self-esteem, loss of interest in the basic pleasures of life, and the resultant inability to experience pleasure, but those are just a few of the commonalities. Key to knowing if your feelings are a passing case of the blues or major depression are that they last a minimum of 2 weeks and nothing external can lift them, not your favorite song or a trip to the beach; nothing. For example, you might have normally been a meticulous dresser, but now you are neglecting your appearance and you just don’t care. Or something that would never bother you before has you ruminating about it now. Or you can’t sleep and feel lethargic for no obvious reason. These are signs. For more information about the symptoms and signs of clinical depression, please visit: Depression Symptoms. What Can be Done About Major Depression? 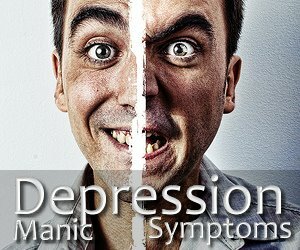 There are three approaches to managing depression, but no one seems to be certain that is it curable, just controlled. The treatment depends somewhat on the severity (mild, medium, severe or psychotic), and frequency of episodes, plus the duration of each. The normal approach is to treat as early as possible in the patient’s depressed state, or even as a preventative means when someone is prone to repeated episodes. This is also applicable where there is a risk of someone sinking into a state of major depression as the result of a traumatic event, such as the unexpected death of a spouse, the diagnosis of a chronic or fatal illness, or a bad car accident. Many cases of depression can be managed through psychotherapy. 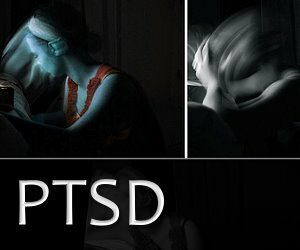 Working with a compassionate and sympathetic psychiatrist may be all a patient needs to keep episodes at bay or reduce their severity, but in other cases, a combination of anti-depressant medications and counseling is a must, at least to see the patient through the deepest part of the situation. It has become widely understood that certain anti-depressants in specific individuals can actually trigger suicidal thoughts, so, as with any other powerful medication, some trial and error may be involved. In the most serious cases of clinical depression, demonstrating delusions and hallucinations, and where drugs and talk-therapy have failed, electro-convulsive therapy is sometimes used as a last resort. Atypical depression: three main components include over-sleeping (hypersomnia), deep fear of personal rejection and the tendency to emerge from the depressed state when something good happens. Melancholic depression: the inability to react positively to upbeat situations and things. This is commonly worst early in the morning and feels a bit like grief, but far deeper. Post-partum depression: the mixed emotions and depression felt intensely by women who have recently given birth. Seasonal Affective Disorder: with the appropriate acronym, SAD, this indicates depressive episodes that occur during the winter months; vitamin D has shown to help this form of depression, as well as light therapy and bouts of outdoor sunshine when possible. Catatonic depression: a severe and fortunately fairly rare form of depression, the symptoms include total lack of speaking, immobility, and visual fixation; this may indicate schizophrenia. A test known as Major Depression Inventory, developed by the World Health Organization, is available in 7 languages on-line and can assist you in ascertaining whether your or a loved one’s depression is just a sad period or legitimate major depressive disorder. While the test may not take into account every possible variable, it can help people who need treatment come to understand that and seek it. It is not to be considered as a substitute for professional diagnosis, just a tool to help. When “the blues” have become disabling, and are affecting all aspects of your life, and are enduring despite all best efforts to “pull out of it”, you may have clinical depression. Help is at hand, so don’t let despair exacerbate the suffering. Regardless of the level of major depression that you or someone you know may be dealing with, it’s not your fault; it may be hereditary, things like estrogen and other hormones may be making it worse, and external influences might have brought it on. Some people who have endured clinical depression episodes for most of their lives have learned to cope by being candid with those they live with (it helps family members to not feel guilty), learning what gives them comfort (some cite exercise and the feel-good endorphins, and some just need to be quiet and escape by reading a good book), but almost all indicate that they need to deeply experience the full impact of the depression before it can begin to lift. In the majority of cases the episodes will return from time to time, but as they become familiar, the symptoms and effects of major depressive disorder will no longer be feared or cause for embarrassment.